Glass + Mirror Craft Structural Walls make a bold statement. 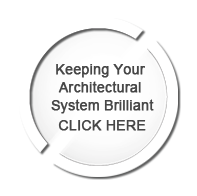 Seventy years of expertise with these architectural systems allows us to deliver the right design for the application. 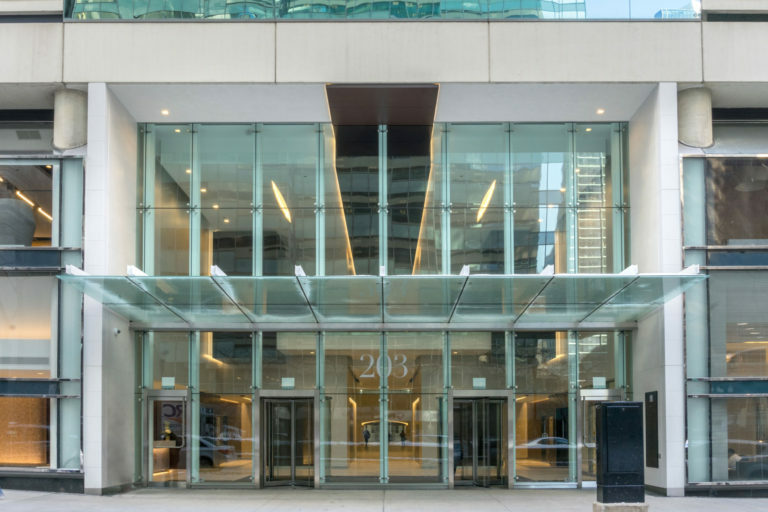 Glazier Glass Solutions retained Glass + Mirror Craft to provide several architectural systems for this striking office complex in downtown Chicago. Among them, the front face of the building consists of a point-supported, laminated, insulated glass wall rising from the ground to the second story. G+MC also provided several sets of glass swing doors within the wall. All glass and hardware for this system were delivered as a kit packaged to simplify and speed installation. Glass + Mirror Craft provided stamped drawings for the entire project. 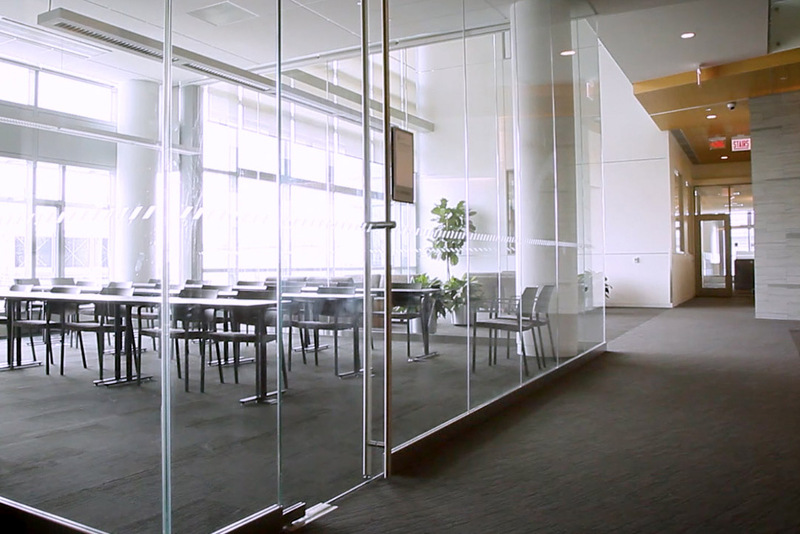 Glass + Mirror Craft was selected by Integrated Design Solutions of Detroit to deliver a new glass feature wall for Michigan State University’s Spartan Stadium. The roof and point-supported wall consists of laminated, insulated, screen-printed, coated glass with integrated custom stainless fittings. 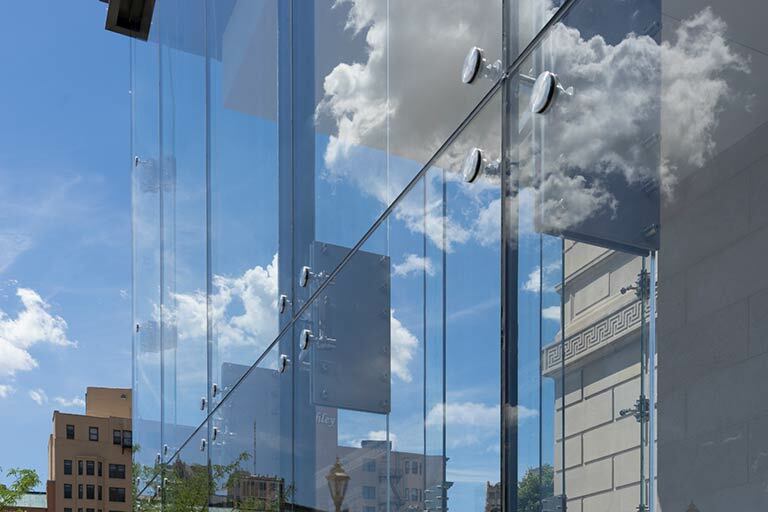 The glass wall extends away from the building at an angle, while also fanning out. As a result, each varying trapezoidal IG panel had to be cut to extreme tolerances, with the holes for the insulated point support bushings located inside the glass panels drilled to precise specifications. As part of this custom architectural system, G+MC also provided triple-laminated glass flooring that extends a short distance out following the inside of the structural wall. The system was delivered as a kit to flow installation, along with a complete set of stamped drawings. Edwards Glass Company sought the architectural system capabilities of Glass + Mirror Craft to help design and deliver a new all glass atrium for the historic Detroit Athletic Club, a fixture of the city. G+MC fabricated a fully custom, point-supported all glass structural wall for maximum transparency. Advanced technology and carefully managed thickness calculations delivered 20-foot all glass walls, all glass doors, and clean 90 degree corners – enveloping visitors in stunning floor-to-ceiling glass. 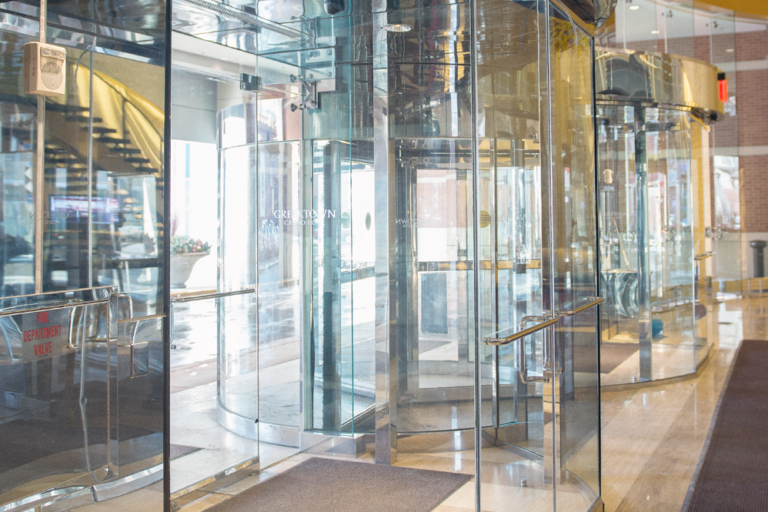 G+MC designed, manufactured, and provided the custom stainless steel hardware for the structural wall’s point supported system, along with the stainless metalwork surrounding the vestibule’s portal. The system was delivered with stamped drawings, and all elements were kitted to flow installation. Christopher Glass and Aluminum turned to Glass + Mirror Craft to fabricate several architectural systems for the Center for Translational Research and Education, located on the campus of Loyola University Chicago. These systems included 28-foot structural glass walls, a series of two story all-glass entrances, and glass partition systems. All stainless steel, hardware, including an engineered standoff system, was designed by G+MC’s Engineering Department and manufactured by its Cuda Metals Division. In total, G+MC solution was all-inclusive – engineering, stamped drawings, glass fabrication, hardware design and fabrication, custom kitting to speed installation, and delivery logistics. Glazier Crystal Glass, Inc. selected Glass + Mirror Craft to deliver a series of structural insulated glass walls that wrap the new New Harman Becker building, located in Novi, Michigan, as a bold statement. The vision was to integrate tinted and low E coated insulated glass with a perfect combination of vision and spandrel units, paired with RAF panels, to give the building a seamless and dramatic look. As with all G+MC projects, the glass was delivered in kits to simplify installation. 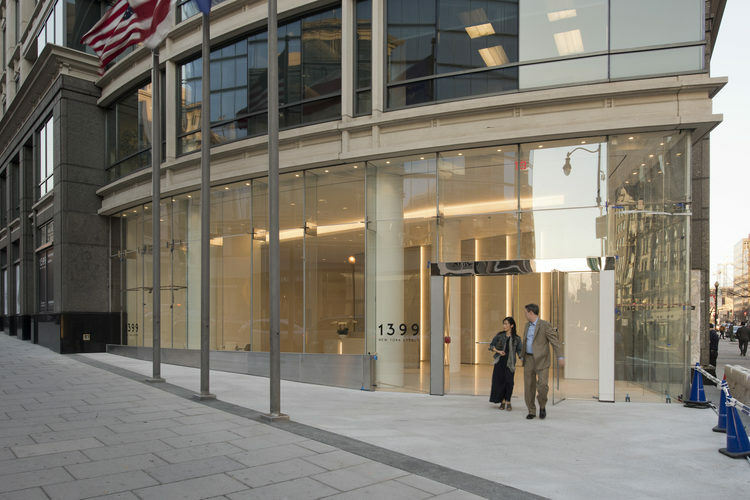 located in the center of the Washington, DC business district. 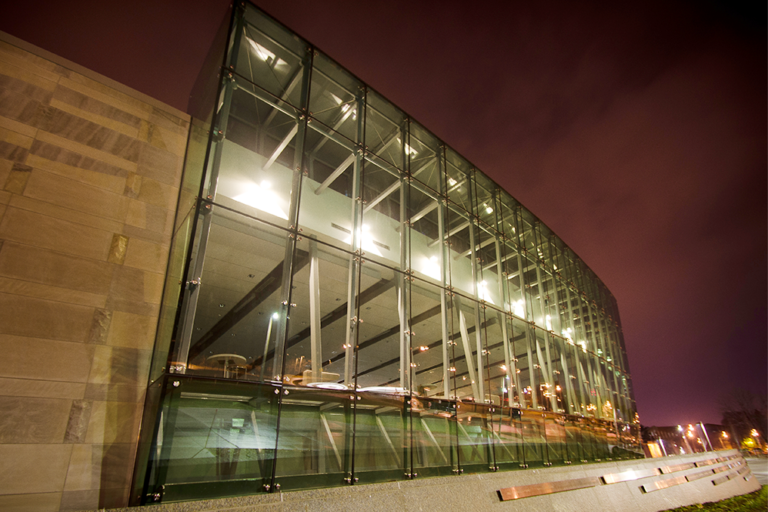 The architectural system delivered included all glass and custom stainless steel components, including all tempered, laminated glass and structural glass fins, and stainless cladding running the length of the structural wall and adorning the glass entrance. The system was delivered with stamped drawings and kitted to flow installation. Glass + Mirror Craft designed and fabricated a structural glass wall and custom metal components for the Alive Health Park headquarters in Charlotte, Michigan. 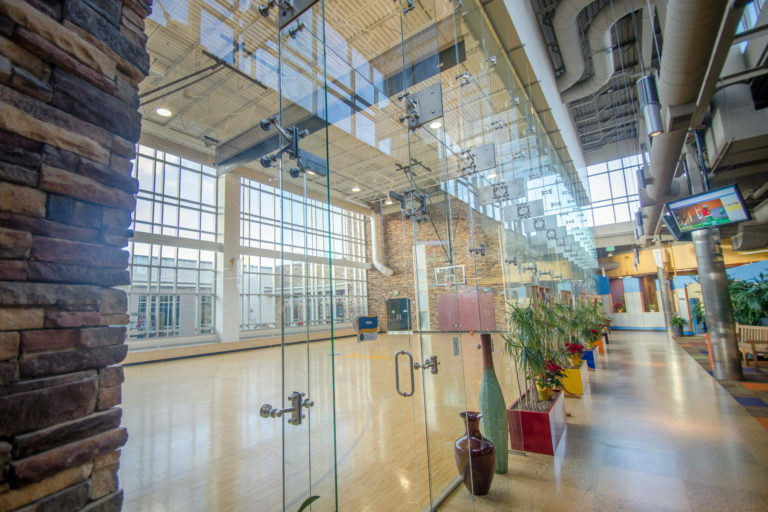 The point-supported all glass wall features tempered, laminated glass held in place by all-glass fins and custom stainless steel hardware manufactured by G+MC’s in-house Cuda Metals Division. The hardware includes a series of custom pucks that mount through precisely drilled holes in the glass. The complete architectural system was developed and stamped by G+MC’s engineering department, and delivered in kits to flow installation. Overall, this breathtaking system elevated Alive Health’s space to another dimension. Glass + Mirror Craft worked with the owner’s representatives, architects, and glaziers to deliver a two-story point-supported all glass structural wall for the Greektown Casino in downtown Detroit. 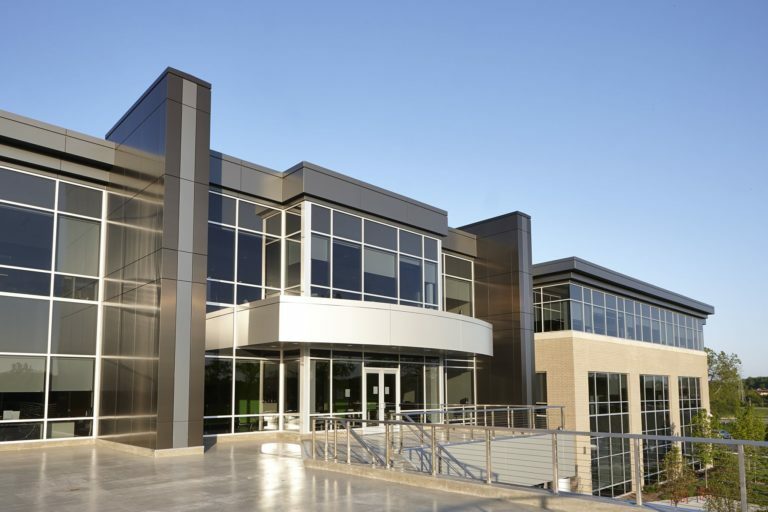 The architectural system includes tempered, laminated glass and all glass structural fins, and stainless steel custom hardware manufactured in-house by G+MC’s Cuda Metals Division. The system was integrated with a third-party all glass revolving entryway. The system was delivered with stamped drawings and kitted to simplify installation. Further, throughout the project, Glass + Mirror Craft provided insight, solutions, and on-site support to quickly complete the installation process.